We will discuss in depth all of these aspects that will help you open a restaurant business in India. But before we dive deep into this topic, you need to consider certain vital expenses. 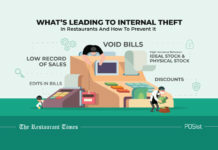 These expenses are inevitable and are essential for every restaurant business. You should note down those expenses to avoid wasting money on unnecessary things or going overboard and spending more than what’s required. Cost of setting up the restaurant – equipment, tables, chairs, etc. For every restaurant owner, it is essential to have an approximate idea of the expenses they will have to bear beforehand; this would help them systematically manage the capital. Starting a restaurant business is not a child’s play. It takes a lot of planning and market analysis to open a restaurant. From occupying the choicest location to hiring the skilled staff members. You need to take care of it all. Each restaurant format has its own set of target audience and requires a different kind of investment, location, skills, and overall effort. This makes different types of restaurants unique in their own way. Because of this, it is crucial that you understand the different types of restaurants that exist and how you can manage it. 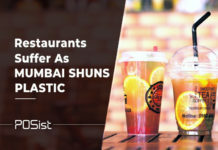 To read more about finding the right restaurant concept click here. You have decided a restaurant concept, planned every little detail from the menu to the vibe, but if your restaurant name fails to capture the essence of your concept then it all may end up going to waste. Your restaurant name is what the customers will know and remember you by. They will associate you with the emotions the name creates and think of your restaurant by ascribing the connotations that come with its name. Therefore you have to choose the right name for your restaurant that captures all your emotions and lets the customers know a little more about your restaurant. There are several things you should be keeping in mind when deciding a perfect name for your restaurant like. This article will help you decide the perfect name for your restaurant business. A business plan is a detailed pen and paper statement of your establishment, its purpose, its goals and how you plan to achieve those goals. 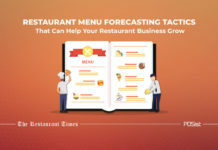 It is a roadmap for your restaurant to follow as it continues its operations to keep the long-term goal in mind and work towards it on a daily basis. Though a business plan is mostly for internal use, it must not be taken lightly and be prepared carefully as it acts as a resource for all the stakeholders and contains detailed plans in order to achieve success. Writing a business plan may seem like a taxing task but it is crucial to your restaurant business and must be done with care. 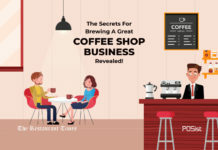 Read in detail how to create a winning restaurant business plan here. One of the biggest hurdles most aspiring restaurateurs face is having enough capital to run their restaurant business smoothly. There are various ways of securing funds for your restaurant provided you have a business manual to lure your investors in. There are primarily four ways of funding a restaurant in the market. Based on the capital needed and the viability of each method, a restaurant owner may decide to use one of these methods or combine two or more methods in his financial plan. 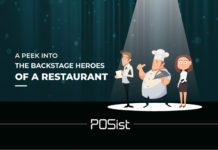 To know more about securing funds for your restaurant click here. Finding the perfect restaurant location is harder than some people think. Your location decides the fate of your restaurant, whether it’ll be a hit or a miss. A perfect location would ensure more footfall; after all, no consumer means no business for your restaurant. There are several factors you need to take into consideration when freezing that one perfect location for your restaurant. These and some more significant factors should affect your decision making power when looking for the right location for your restaurant. Read in detail how to choose the perfect location for your restaurant business here. Before you open the restaurant doors for the public, you need to ensure you have all the required permits. To start a restaurant business in India, you require licenses from different departments. Some may take months or years to process; therefore start applying as earliest as possible. 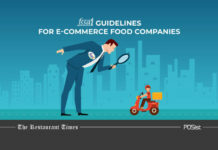 Read in detail all about the licenses you need to open a restaurant, and how to acquire them. The next thing that you need to do to open a restaurant business is deciding the restaurant layout. The restaurant layout includes your restaurant floor plan such as the exact positioning of the tables, chairs, entrance, etc. Your layout should support operational workflow and communicate your brand to your customers, after all, it is all about creating an inviting space for your guests. A great restaurant layout has proper and optimum utilization of space so as to supports the daily operations and also ensure customer satisfaction. Owing to the sky-rocketing rentals, it is essential that you have the right floor plan and layout. Here are some restaurant design guidelines that will tell you how to create an optimum restaurant floorplan. Choosing the right restaurant equipment is critical before you open a restaurant. You cannot expect your employees to perform their best if the tools they are using are in bad condition. The right equipment ensures the smooth sailing of the restaurant and prevents any lags. The freshness of the food you serve and the service you give are also heavily dependent on the equipment you use. Installing the equipment is not enough, you should also pay attention to the maintenance to prevent any wear and tear. 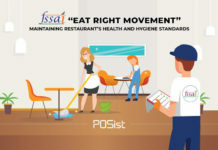 Right equipment boosts up the sales and increases the efficiency of the employees which ultimately helps in running your restaurant business with ease. Different restaurant concepts and the type of cuisine you plan to serve, require different types of restaurant equipment. To know more about the necessary equipment required to open a restaurant, read this. The restaurant industry has a high turnover rate which makes it very important to hire people who would stay and help your restaurant business grow. Your staff is the first point of contact with your customers; they are the ones who are executing the entire show. Thus, having the right set of people is essential before you open a restaurant. The hiring process consumes a lot of valuable resources, so you want to make sure that it is done correctly the first time itself. While hiring the restaurant staff you can consider the following aspects. 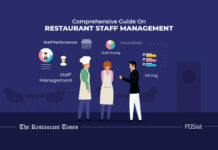 Here is a comprehensive guide on restaurant staff management that will help you source, hire, train, and manage your restaurant workforce. Restaurant menu design plays a crucial role in pushing the customers to order your best dishes. This is important for not simply your profits but for customer experience as well. The easier a menu to read through and order from, the better the customers find the restaurant and the entire dining experience. Doing your food menu design right is not just an art; there is a science to it. You need to understand the human mind and the things that will catch your customers’ eyes. And doing so isn’t an easy thing. Designing a menu is one of the most interesting tasks when you open a restaurant, but is also the most critical one. It is rewarding to see it coming together. You can play around with the names of the food items and also the look of the menu but one thing you need to be careful about is pricing the items correctly. Correct restaurant menu pricing keeps the food costs in check and fuels the restaurant’s success and keeps its doors open. Read in detail how you can create a great restaurant menu that is high on profits here. Often, while opening a restaurant, the role of technology is missed. After all, basic billing software or even a simple cash register would do the job. This is where most first-time restaurateurs end up making a mistake. 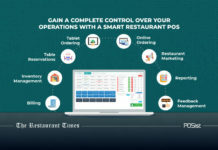 Choosing the right POS is critical for before you open a restaurant as it not only automates the entire order-taking and billing process but also simplifies the entire restaurant operations from day 1, which if not done properly, can be extremely damaging to the business in the long run. 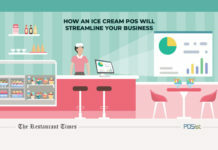 Read in detail how you should choose the right POS for your restaurant business here. As a restaurant owner, you can hire the best chef to prepare the best dishes but, it all goes to waste if enough people are not there at your restaurant to enjoy it. The success of any business is dependant on its marketing strategy. The marketing plan you choose determines how well your restaurant would function. (i) Offline Marketing– Offline marketing uses offline media channels like a newspaper, magazines, pamphlets etc to spread awareness about their restaurant. It is very efficient if you wish to market to the mass as well as the local customers. Learn how to do the offline marketing of your restaurant here. (ii) Online Marketing– Online marketing would help you reach the right audience effectively and would help you stand out amongst thousands of other restaurants. It lets you reach the customers where they are the most active i.e. on the internet. Learn how to do the online marketing of your restaurant here. 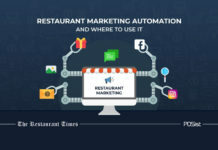 Here is a complete restaurant marketing manual that will help you create the best marketing strategy for your restaurant business. A grand restaurant opening is your first chance to make a grand splash in the community. 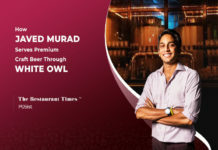 It is an opportunity to introduce the facility, the food and the atmosphere to potential customers. New restaurants crop up every day, and you must just get lost in the crowd unless you make an impact with a grand inauguration. Things to keep in mind when launching your restaurant. Launching your restaurant on a high note will ensure more footfall. You must ensure the launch is as grand as possible. To read more about making the most of your restaurant launch, click here. A lot of time, effort, and resources are required to open a restaurant. Refer to this article as your go-to guide to for opening a restaurant business in India!